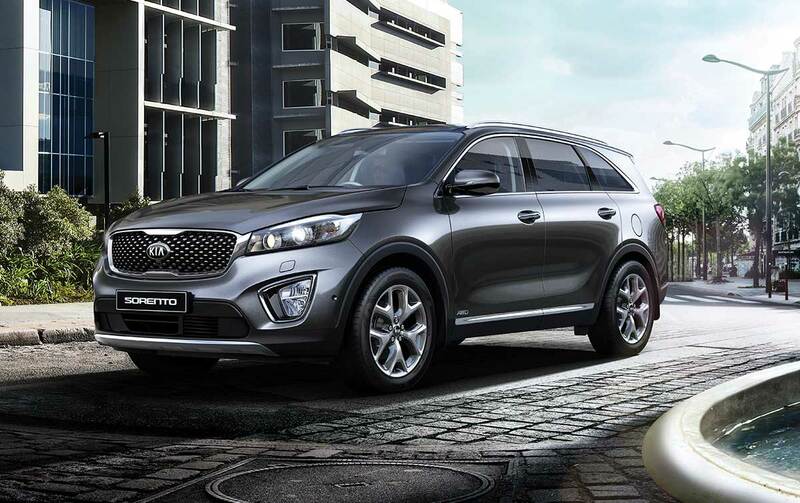 The Kia Sorento has evolved. Streamlined styling, a luxurious interior and improvements to the user experience have given this family-friendly SUV a sophisticated twist. 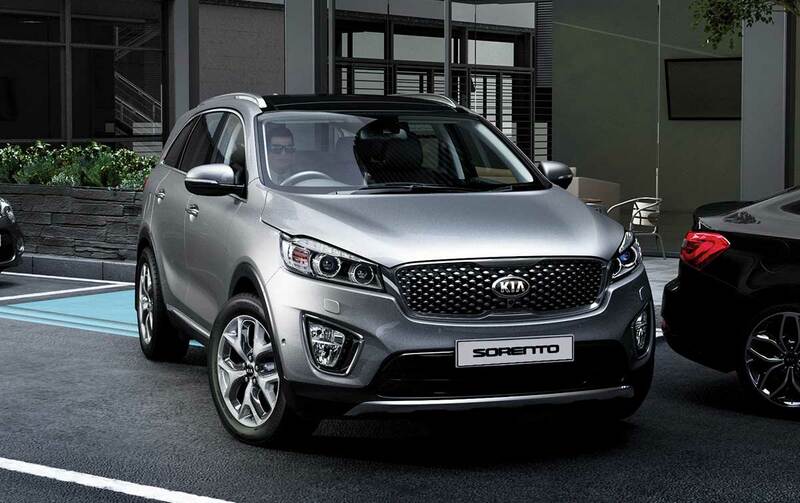 The all-new Sorento’s sculpted body with aerodynamic styling means driving is both smooth and streamlined. Elegant wraparound headlights and Tiger Nose grille add a distinctive look, and finishing flourishes include noise-minimising doors and a choice of alloy wheel sizes. Inside, contoured surfaces, soft-touch materials and air-con ramp up the comfort factor. With seven seats and the Sorento’s lavish allowance of head and legroom with lowered seating, there’s ample room for all passengers. And when more room is needed for cargo, the third row of seats folds flat to increase the potential space from 499 to 605 litres. 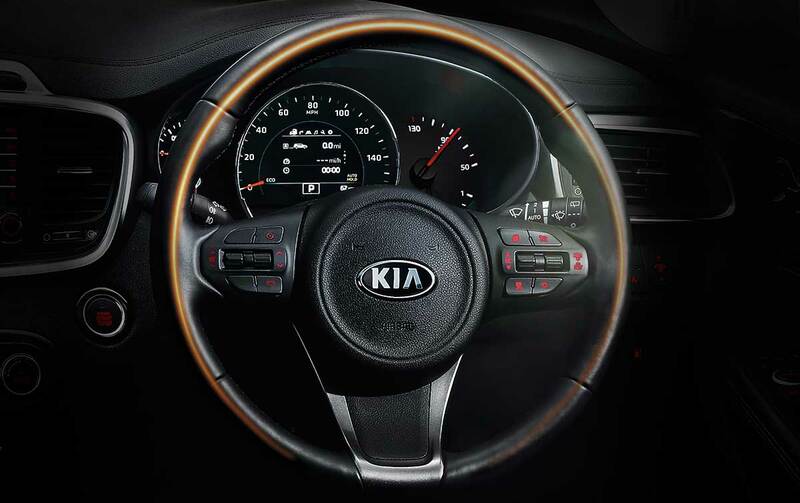 Controls are reflex-slick thanks to the rack-mounted, motor-driven power steering, and 4WD is featured as standard. An H-shaped sub-frame, four-point bushing mounting and hydraulic rebound stopper make handling effortless, and the rear multi-link suspension with shock absorbers and four-point bushing mounts makes for an overall smoother journey. An adaptive lighting system means you’ll be seen, whatever the driving conditions. The spoiler-mounted brake light and emergency stop signaling alert other drivers to your movements, instantaneously, and manoeuvring out of a tight spot is now easier than ever with Smart Park Assist. 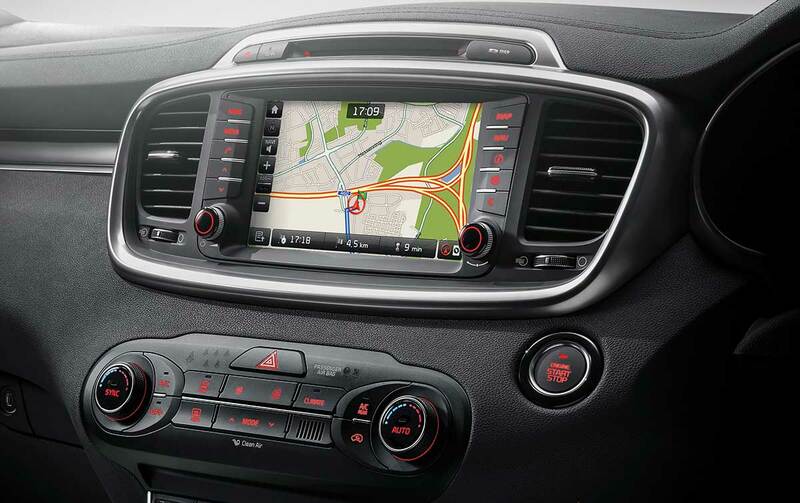 What’s more, staying connected has never been simpler with the Sorento’s DAB radio, Bluetooth and USB. 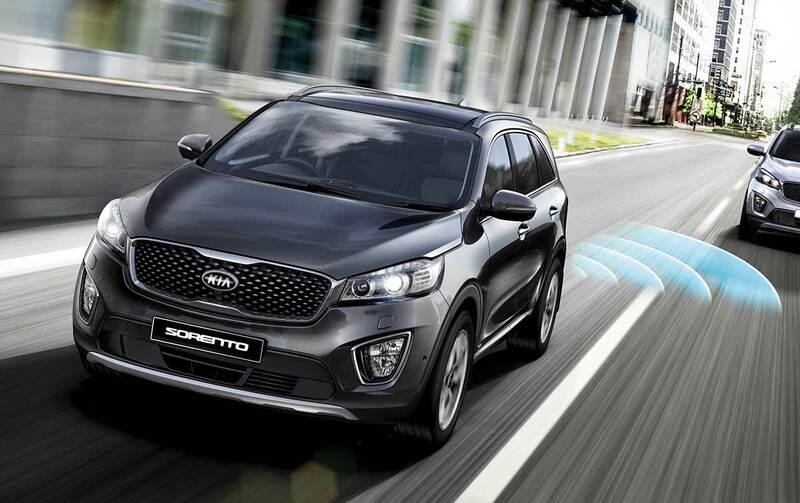 The all-new Sorento’s anti-lock braking system with electronic brake force distribution and brake assist delivers ultra-responsive stopping power. Electronic stability control and vehicle stability management result in a confident and controlled driving experience. 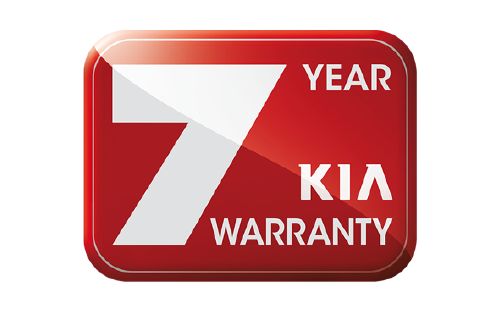 With a reinforced-torsion body shell, six airbags and a tyre pressure monitoring system, the Sorento boasts an impressive array of safety features. The 6-cylinder EU6 2.2-litre CRDi turbodiesel engine can achieve a powerful 197bhp. Intelligent Stop & GO (ISG) features on both automatic and manual models to help save fuel, and CO2 emissions are as low as 149g/km, with an average mpg from 49.6.